The Edward Luckenbach was another victim of American mine fields laid in the Gulf of Mexico to thwart enemy vessels. At just under 437 feet, she was also the largest US ships to unwittingly enter this dangerous territory. Built in 1916 she had a beam of 57 feet and was used as a cargo freighter. She was also somewhat unique in that she basically remained under one name and one ownership except for a brief stint in WWI. 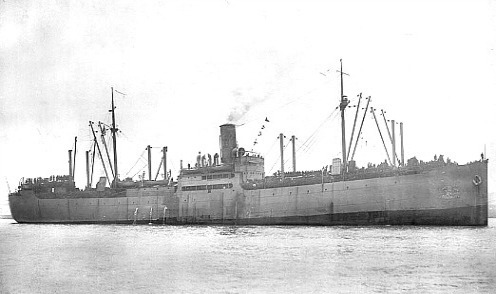 In 1918 her owners, the Luckenbach Steamship Company of New York City, temporarily transferred her to the United States Navy where she became the Navy USS Edward Luckenbach. In 1919 she was returned to her owners, and resumed her duties as a merchant freighter. During World War II, this United States navy ship often transported a variety of vital materials essential to the war effort. It was while she was traveling from Jamaica to New Orleans, LA that she unknowingly entered the minefield intended to target enemy vessels. Why the military chose not to notify friendly shipping about the minefield can only be speculated. The rationale appears to be that if anyone knew about the minefields they'd be rendered ineffective. The saying of the day was "loose lips sink ships." In keeping with that philosophy, it appears that the United States military believed it was safer to keep silent about their project. However, if word had been discreetly imparted to local authorities, ship captains could have requested appropriate information, adjusted course, and avoided traveling into the area. Of course hindsight suggests one thing, and American history tell us another. Without knowing of the danger that lay ahead, the Edward Luckenback sank on July 2, 1942, carrying an important and expensive cargo. On board she had over 10,000 tons of tungsten which was vital for the construction of over 15,000 different war items including tanks, shells, trucks and guns. This was estimated to be about 1/6 of the world's supply and had a current market value of approximately $1,500,000. Her cargo was so important to the Allies success in the war effort, that she carried 12 armed naval guards to protect her from hijack or attack. When she entered the minefield zone, the first one she struck detonated on her port side, forward of the engine room. This explosion killed her third assistant engineer. Within just a few minutes, she struck a second mine amidships on her port side. This explosion caused the large freighter to sink in an upright position. Even though the ship was destroyed, Captain Kelly, his remaining 40 crew members, and the 12 armed naval guards all survived. The water in the Gulf of Mexico is very shallow for miles from shore. It's said that for every mile you go, the depth drops by one foot. Once you're approximately 200 miles from shore, you reach the end of the Florida Shelf and the bottom drops to oceanic levels of a mile or more. This explains why her superstructure was still above water when she sank. At 55 feet maximum depth, she was exposed and posed a danger to shipping. As soon as rescue efforts had been completed, recovery of her cargo began. In particular, her load of tungsten was extremely important. The real threat of salvagers stealing her precious commodity and selling it on the black market was a concern. In reclaiming the precious metal, the ship had to be opened up. Once the cargo was removed, the ship was then wire dragged to break her up and bring her below the water's surface so she didn't pose a hazard to shipping. Today, the remains of this large freighter lie east to west in a somewhat broken and scattered pattern. Visibility at this wreck is also typically poor as you're in the Gulf of Mexico and there's no current at this point to keep the water clear. Like the Bosiljka, this wreck is also a magnet for juvenile fish which attract the large game fish. 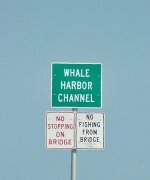 Since this is not protected water, you can expect to see Florida Keys sport fishermen in the area. When diving in the wreck, you'll need to be mindful of the tools of their trade which are evident and pose an entanglement hazard. With limited visibility, this means you'll need to be cautions as you fin around the large debris field of what was once the Edward Luckenbach. Even though the clarity of water here is rather poor, the Edward Luckenbach is still one of the better intermediate Florida Keys dive sites. The opportunity to interact with such a variety of large fish is worth the trip alone. However, there's more to wreck diving this site than just marine life. There's US military history and the lurking question as to whether all of the mines in this field were recovered.